Now that that is done, here are the springs side by side, off the front, you can plainly see the difference here. 13) Slide it up into the perch and thread your bolts in. You can tighten these now, as the rest of the strut mounting process will be done on the bottom side. 4) Now, we just need to jack the perch up and put the 15 mm bolt back in and put the bump stop in place and this side is done. Now that wasn’t so bad was it? The fruits of your labor will be very worthwhile. 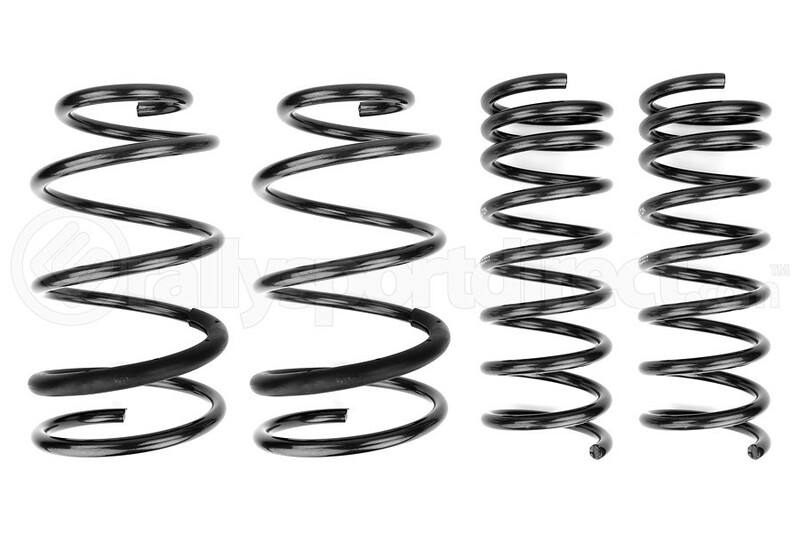 When we initially talked about putting the lowering springs on, we expected the ride to worsen, but as it turns out, they ride almost the same as stock springs, with a more aggressive stance. I am quite impressed with ride quality and ease of install with these springs. They give you more control in the turns as well, being a progressive spring, they can increase the spring rates in the turns and give you more control. We were also a little concerned with the difference in spring rate, as they do change it up a bit from stock, but we still experience the ST signature lift-off oversteer, and, since this is a daily driven vehicle, we were relieved that the ride quality had not worsened. Overall, I have to say that these are a really good first step to modifying this vehicle and we look forward to the future changes to this car.